The 5-Eleven adds a sophisticated look to any work environment, from the home office to the corporate board room. The horizontal lines stitched into the Black leather padded seat and back create an upscale look and complement the Chrome frame, which looks right at home in either a mod, mid-century or a contemporary aesthetic. 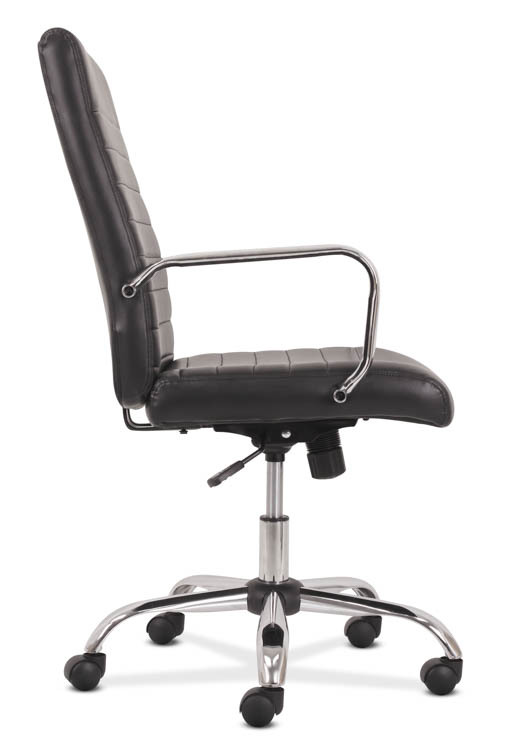 This chair is engineered for high-performance, with a swivel-tilt control that allows movement in any direction and a natural reclining position. Durable casters on the five-star base provide freedom of movement throughout your work space. Overall Dimensions: 25.60"W x 25.60"D x 40.70"H.